US President Barack Obama's decision to supply arms to rebel groups in Syria is likely to add fuel to the Syrian war and undermine peaceful efforts. A memorandum by United States President Barack Obama to lift restrictions related to providing military assistance to foreign forces in Syria is de facto aimed at supporting terrorists in the war-ravaged country and other regions, said Alexander Perendzhiev, a political and military analyst and lecturer at the Plekhanov Russia University of Economics. On Thursday, Obama lifted formal restrictions on arms supplies to US allies in the fight against terrorism in Syria, considered by Washington as one of the state-sponsors of terrorism. The president waived prohibitions outlined in the US Arms Export Control Act, which forbids providing defense-related supplies or services to countries that are not cooperating fully with US anti-terrorism efforts. Earlier, different US officials said Washington supplied limited shipments of weapons and ammunition to Syrian opposition groups. "The situation is that the Syrian Army will receive none of those weapons. The fact that at the end of his term Obama made such a move shows that the war on terrorism is a disguise for arming terrorists. 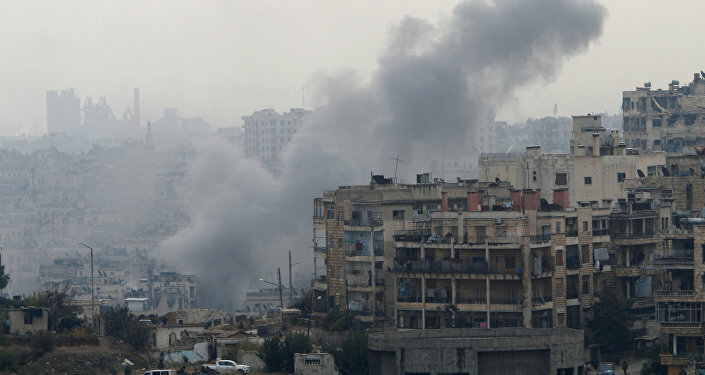 I think the decision aims at fighting the Syrian government," Perendzhiev told RIA Novosti. In turn, the Kremlin expressed concerns that US-supplied MANPADS could fall into the hands of terrorists in Syria. "We'll need to pay close attention and understand the main goal, the intentions and the details of this decision. Without doubt, the worst outcome of such decision would be if different weapons, including MANPADS, would fall into terrorists' hands, which, of course, goes against international conventions on this issue and poses a great danger not only to the region, but also to all countries," Kremlin spokesman Dmitry Peskov said Friday. Perendzhiev noted that many experts and analysts expected that after Donald Trump’s victory in the US Obama’s administration would make efforts to fuel conflicts in different parts of the world. "The conflict in Syria is slowly de-escalating, but we’re witnessing resumption of a serious conflict on Libya. I have concerns that Obama’s move is aimed at fueling old and starting new conflicts around the world," the analyst suggested. His assumption was echoed by Boris Dolgov, senior research fellow at the Center for Arabic and Islamic Studies, at the Russian Academy of Sciences. According to Dolgov, the removal of restrictions on arms supplies in Syria undermines peaceful efforts in the region. 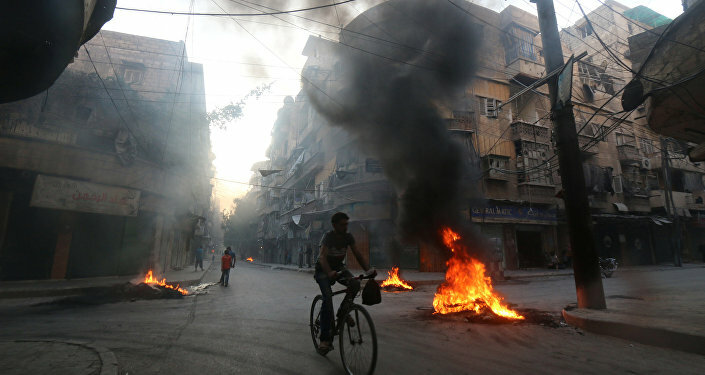 "The outgoing US president [Obama] wants to change the situation in Syria, particularly in Aleppo. Recently, the Syrian Army has made significant process. Terrorists are losing ground in Syria and fleeing. Obama made this decision to change the situation and boost morale of opposition groups fighting against [Syrian President Bashar] Assad," Dolgov told RIA Novosti. According to the latest data from the ground, over 80 percent of eastern Aleppo is now under control of Syrian government forces. Some sources say that al-Nusra Front (also known as Jabhat Fateh al-Sham) agreed to withdraw from Aleppo. "Even if it’s true a lot of other militant groups will stay in the city. Some of those groups receive support from the US. As a result, this decision will seriously complicate the situation," the analyst said. "This move is destructive and aimed to prolong the Syrian war. It will fuel the conflict and contradict efforts by the Russian Foreign Ministry and the Syrian military command," he pointed out. Dolgov said that the US will deliver several types of weapons to its allies in Syria, including anti-tank missiles, firearms and – the most dangerous – air defense systems. He also suggested that Donald Trump’s administration may cancel the decision. The US has been carrying out airstrikes against Daesh in Syria since 2014. The operation has not been authorized by Damascus. 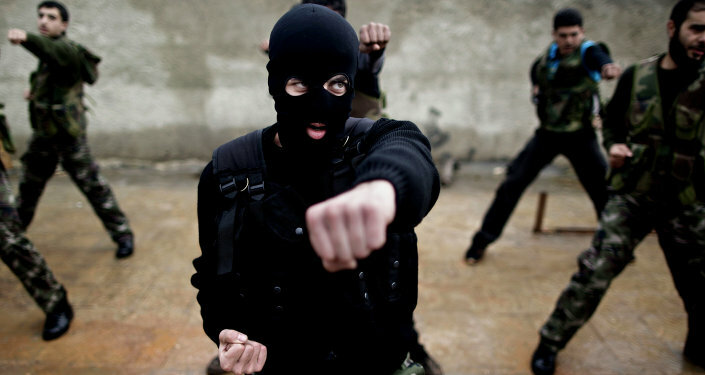 In addition, there are units of the US Special Forces assisting Syrian rebel groups in fighting terrorism.